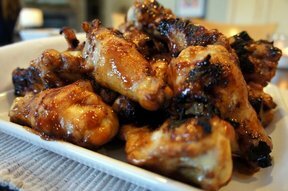 Wings are a great appetizer to serve. Delight your guests with this oriental take on a game-day favorite. This recipe can easily be doubled or tripled. Perfect to make ahead and thrown in the slow cooker to keep warm. Using kitchen shears, cut off outer wing tip. Divide each wing into two parts at the joint and put in medium bowl. Mix soy sauce, lemon juice, and garlic powder and pour over chicken. Cover and marinate in refrigerator several hours or overnight. When ready to cook, preheat oven to 400°. Arrange wings in baking pan with sides. These can also be grilled instead of baked, if you prefer. 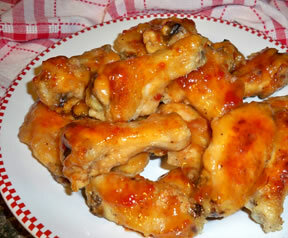 Mix honey and ketchup with 1 tablespoon of marinade and brush half of mixture on wings. Sprinkle with salt and pepper to taste. Bake for 25 minutes. 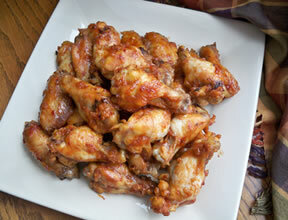 Turn wings, brush with remaining mixture, and bake an additional 20 minutes, or until tender. 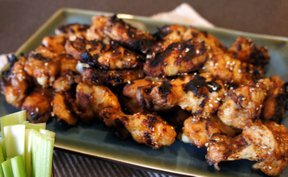 "I am a chicken wing lover and I found a new favorite. I loved the flavor of these. I might add a little red chili flakes to spice them up next time, but otherwise they were great."